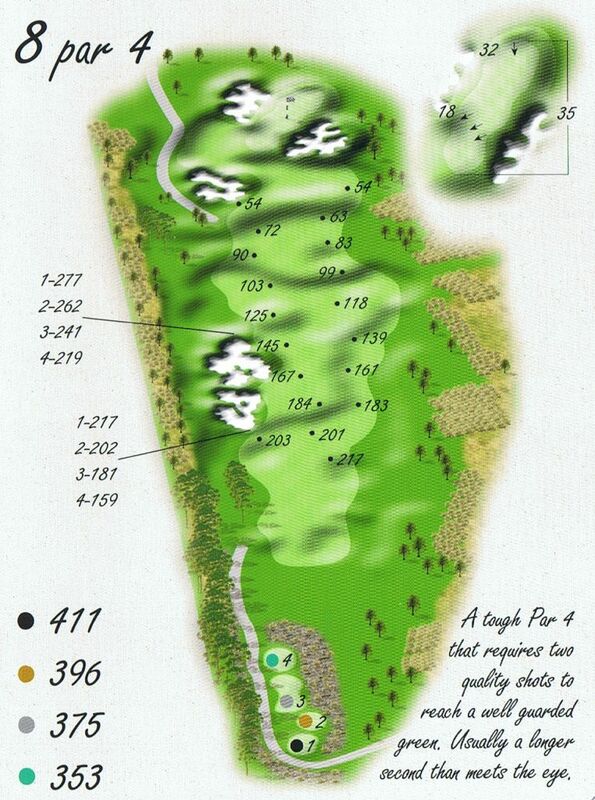 At 411 metres in length, this par 4 will be one of the strongest golf holes on the course. 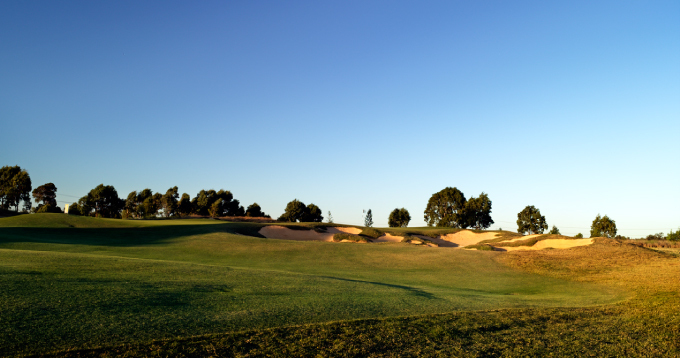 A strong tee shot over the left side fairway traps will give the most ideal approach to the green. Players playing away from these traps and landing on the right side fairway will be faced with a very difficult long, uphill approach to an angled green guarded by hazards.